Should I Buy a DC44 or DC58? Are you weighing up either getting hold of the Dyson Digital Slim Mark II: DC44 or the incredibly powerful handheld DC58? If so, you have come to the right place -- a comparison account highlighting both their differences & commonalities amongst their specifications & features -- ultimately deciding which cordless portable cleaning machine offers you the 'best' value as well as which one is best suited to your specific cleaning needs & preferences. Which Offers the Best Cleaning Power & Performance? 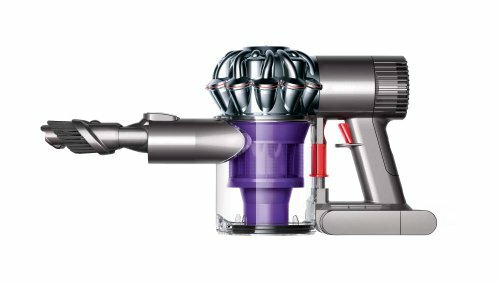 They both operate on a dual power system where they have a standard & boost setting -- with the DC44 it performs at around a standard: 28 AW & boost: 65 AW of constant suction (and in the cordless stick vacuum market, it was pretty much the most powerful going -- until the introduction of the DC59). However, as you can see -- the late (released October 2013) cordless DC58 has been radically improved & updated on all three main aspects that contribute to a cordless cleaning machines performance: i) a more advanced & power efficient V6 Digital motor (producing a huge 350 watts of power), ii) a re-configured cobalt battery that supplies an extra 50% of power than the DC44's battery and iii) an upgraded (by a few generations) two-tier radial root cyclone technology to increase the pick-up rate of microscopic dust & debris particles (as small as 0.5 microns). All these factors in turn have allowed the DC58 to have "three times the suction of any other handheld vacuum cleaner in use" so comparing just the actual power & potential performance exhibited between the DC58 & DC44 -- then clearly the former is far superior (this said, do not discount the DC44 as not being a powerful cleaning machine by any means). Which Offers the Better Practical Specifications? With regards to the run time, the DC44 operates for 20 minutes on the standard option & 8 minutes on the boost -- whereas the DC58 now has a non-trigger mechanism (which basically only engages battery use when the vacuum is actually cleaning) which means it can operate for up to 26 minutes -- however with constant use on the standard mode it also lasts 20 minutes & 6 minutes on the boost mode (with LED indicators stating the condition of the battery). They come with pretty much the same accessories & attachments i.e the combination tool (to basically enable powered dusting) & stair tool. The DC44 does also come with a wall mounted docking station, which is obviously useful to keep it neatly stored away (note it doesn't need to be placed in the docking station for it to charge, this can be conducted separately). Moreover, if you opt to get the Animal version i.e the DC44 Animal or DC58 Animal, then you get a specially engineered attachment for effective pet hair pick up -- with the DC44 it is a mini motorised tool & with the DC58 a more advanced mini motorised turbine. Important: Now, where the DC44 has a big advantage over the DC58 is in the fact that it can offer a greater array of cleaning functions -- it of course has the ability to be an upright vacuum (which can be used on any type of flooring) as well as being able to cleaning 'high' areas (e.g. curtains & ceilings) but it also has the functionality of the DC58. Whereby the DC44 can also turn into a handheld vacuum (much like an advanced version of the Dyson DC34 handheld) through removing the wand (66 cm wired tube) & attaching the crevice tool, to basically operate many of the intricate jobs that the DC58 is also intended for. Which is Easier to Use & Handle? As a handheld vacuums they are pretty much identical (the DC58 is perhaps a bit larger & heavier) both being incredibly lightweight (especially when compared with many of the competing cordless non-Dyson vacuums) with its weight being ergonomically distributed within a centralised area of the handle to allow the user a feel off added lightness & control when in use. Both a great option for those who have mobility issues or are elderly. When bought new - both models are backed by a two year guarantee that covers parts & labour, so any difficulties or troubles (e.g. they aren't living up to the specifications listed above such as falling short of the run time) you can have them fixed free of cost. They also have a filtration system fitted to prevent allergens & dust from being expelled into the air whilst vacuuming and hence are safe to be used by asthmatics & allergy sufferers. Conclusion: Should You Buy a DC44 or DC58? Ultimately, if all you are after is a very powerful handheld vacuum cleaner for intricate cleaning jobs -- then the DC58 is your model. However, if you are willing to sacrifice a bit of power & cleaning performance (note: the DC44 is still a very good cleaning machine) for more multi-functionality (where it also can be used for the intricate jobs and more) to better help supplement with your cleaning of the standard corded vacuum then go for the DC44. They will be at a similar price range (with the DC44 slightly more expensive, but it is worth looking into a refurbished DC44 model to get it at a better price) & on that note I feel despite the immense power the DC58 offers, you are getting more value from the DC44 model... this being said I would then go on to suggest that if you are after 'both' worlds i.e the extra practical functionalities that the DC44 offers & the immense cleaning power of the DC58 -- you should perhaps consider the Digital Slim Mark III: DC59. Please do let me know which model you would choose & why? Also, if you have any remarks, concerns or questions regarding either the comparison article: DC44 Vs DC58 or about any of the model specifically (e.g. acccessory compatibility) then please do not hesitate to make them in the comments section that you will find just below and we will be sure to get back to you as soon as possible. 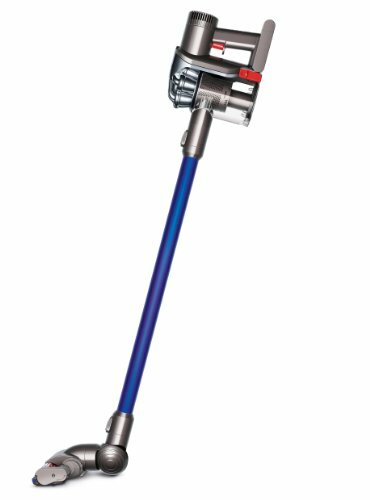 Does anybody know whether the Dyson DC44 wand and motorised floor tool are compatible with the Dyson DC58? I asked Dyson and they said that the motorised floor tool of the Dyson DC44 can be used on the DC58 but the wand is not compatible. I doubt it that this is the case. I think that Dyson know that both wand and floor tool of the DC44 can be used on the DC58 but they just don't want to admit it because it's much more economical to buy the DC58 and the wand and floor tool of the DC44 and turn the DC58 into a DC59.